The total overview for 2019 twice as gorgeous and handy! 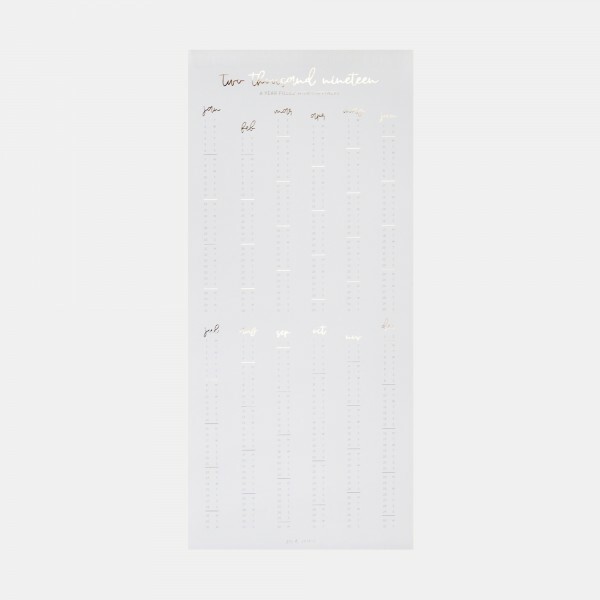 The reversible poster calendar for 2019 in a grey, white and gold design shows you the whole year at a glance and brings some minimalist chic into your home. Click here for the perfectly fitting print hanger and frame the double sided poster calendar for 2019 in style!